New shower doors are a practical and economical way to update your bathroom. Even though a simple curtain may be sufficient to keep water in your bathtub, a shower door provides a far more elegant solution. 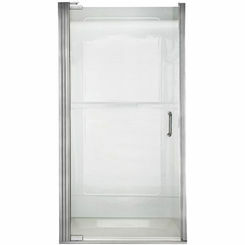 PlumbersStock has a huge selection of shower doors from which to choose. They come in many different types of configurations, styles, and sizes to match any budget. Before purchasing there are a number of factors that one must take into consideration, including: location, size, and style to name a few. 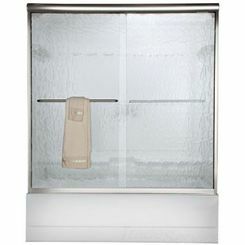 Shop PlumbersStock for the best shower doors at discount prices, as well as other wholesale tub and shower accessories. Sliding shower doors – also known as “bypass” doors, take up the least amount of space and consist of two to three panels that slide past one another on top and bottom tracks. 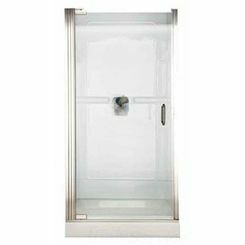 Sliding shower doors are ideal for wide openings, typically being 60” wide and commonly used in alcove and corner stand-alone showers or tub/shower combos with stationary panels. 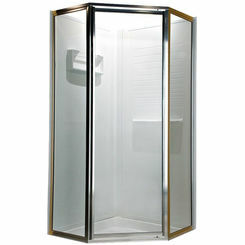 Neo-Angle – designed to fit neo-angle shower enclosures for corner installations. These doors take up little space and can be installed to swing open left or right. 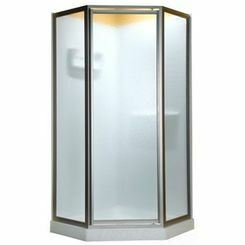 They are also commonly used with corner, stand-alone showers. 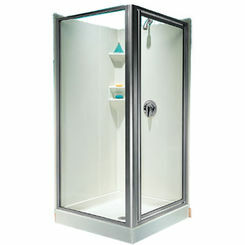 Pivot – open outward from a single side and are installed in a stand-alone shower space. This type is ideal for openings that are too small to accommodate a bypass door. 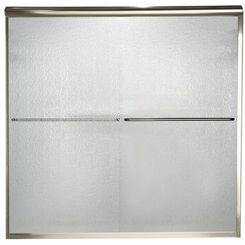 Pivot shower doors are typically 36” wide, but can get as wide as 48”. 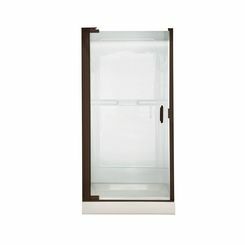 If you have a larger opening, these doors may be installed with one or two fixed panels and can be single or double-hinged mounted to swing either in or out. 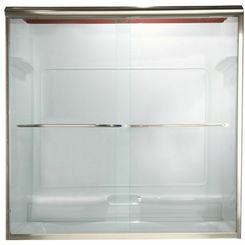 They also can be installed on the left or right side to fit the layout of your bathroom. 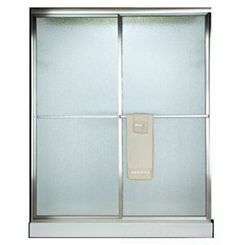 They are most commonly used in alcove and corner, stand-alone showers. Traditional shower doors have an aluminum or composite material framing the glass panel, whereas frameless shower doors are a newer style with different thicknesses of glass. Frames offer a variety of finishes that are available to complement your décor. 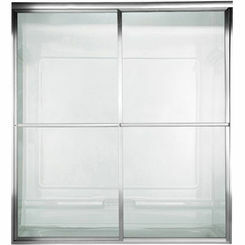 The door design includes a track which can collect and trap water, but does require periodic cleaning and can only open outwards. Frames allow for a wide variety of different finish colors. 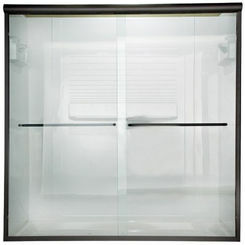 The advantage of a frameless door is that it is easier to keep clean. Frameless shower doors can open both in and out, and have the ability to make your bathroom feel larger. A glass shower door can be as beautiful as it is functional. Designs and effects, such as frost, tinted, and textured glass can turn your door into a large work of art that makes a statement about your personal style. 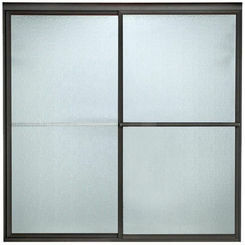 There are four things to keep in mind when choosing the glass for your door and the style you want. The thickness of a glass shower door is dependent on structural and design factors, such as whether or not the door will be framed or frameless. Thickness isn’t an issue for framed doors as the glass is secure. 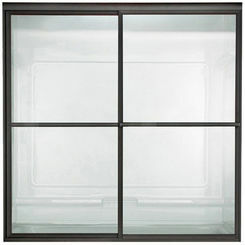 Frameless shower doors, glass thickness can range from ¼” to ¾”. The thicker and heavier the glass is, the more stable and smoother gliding the door will be. Clear glass shower doors showcase the tile and stonework in the shower and can make small bathroom feel larger. 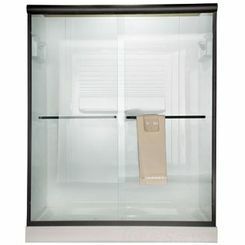 Frosted, or opaque glass, offers the most privacy! Finally, textured and patterned glass provides privacy as well as a stylish element in your bath. With such great prices and service, customers keep coming back for more. 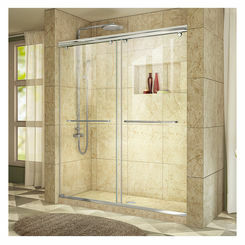 If you have any questions about shower door parts please contact us and put our professional expertise to your benefit.